Marcus recently designed the Long Walk Tshirt for Essendon Football Club. The artwork design was created to reflect upon Michael Long’s inspirational walk to Canberra to highlight the lives of Indigenous people to get back on the national agenda. The design represents the enduring journey shown by the roadway extending through the feet and into the horizon. The colour palette of black, red, orange and yellow reflects upon the bruising and exhausting encounter of the 650km walk to meet with the Prime Minister on 21 November 2004. 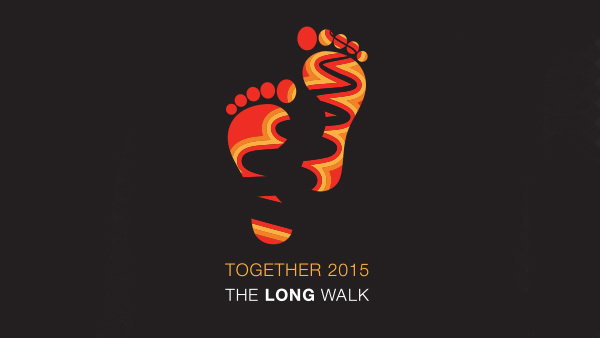 The Long Walk 2015 was launched on Wednesday 29 April. All the best Michael for The Long Walk Campaign in 2015! 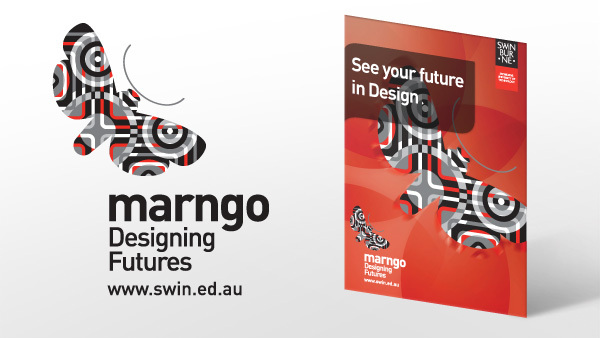 Swinburne University initiated a design workshop that was held in October last year. The workshop, titled: Marngo, Designing Futures was facilitated by Indigenous designers and artists, IAC community members and non-indigenous design academics. 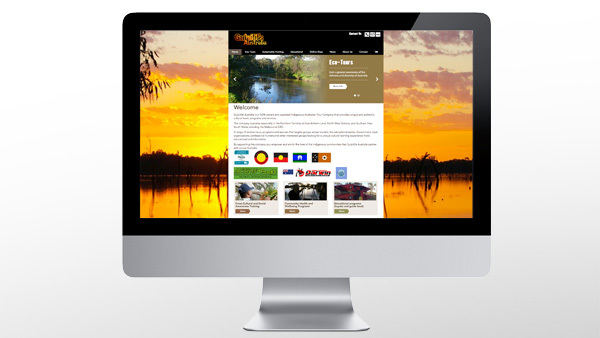 Marcus created the workshop branding and communication materials – thank-you to Aunty Joy Murphy for your help with the Aboriginal translation. If you are looking for an artistically original branding concept to herald how your organisation is enlivening cultural diversity - call us now. Copyright © 2014 Marcus Lee Design. All rights reserved. Please complete this form if outside business hours and we'll respond the next business day.